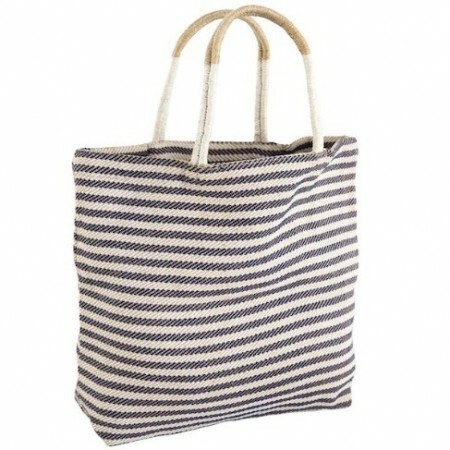 Stylish, durable and earth friendly, this jute shopping bag has been handwoven by women working with Fair Trade artisans in Bangladesh. 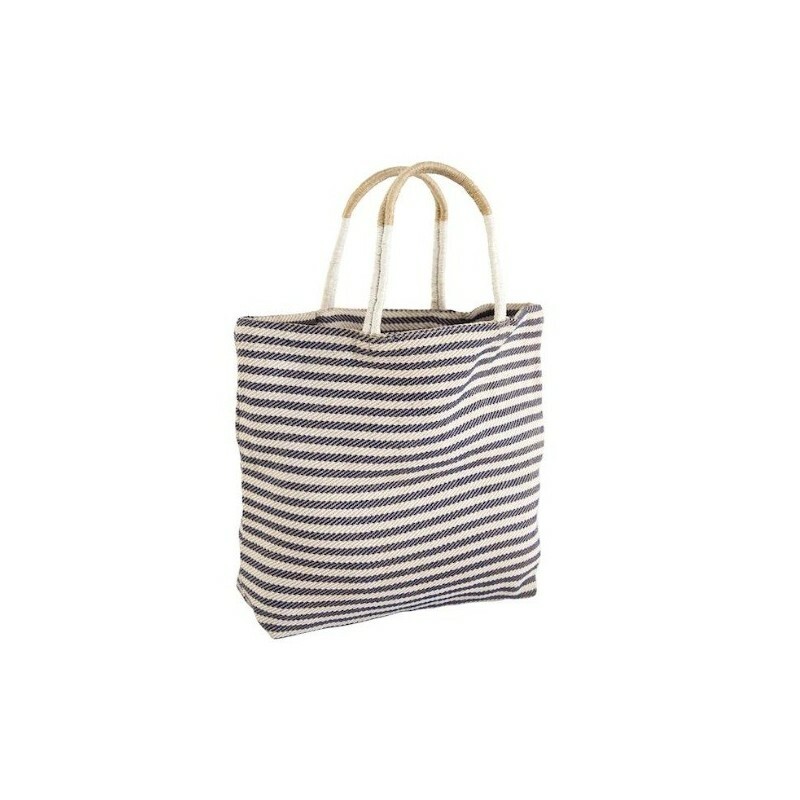 This bag features strong handles, an indigo stripe pattern and is unlined - perfect for those farmers market hauls and beach trips! The Dharma Door is committed to conducting all business dealings by Fair Trade principles. They ensure the artisans who hand-craft each product are paid fair wages and enjoy a safe and positive working environment. Jute is a low impact, rain-fed crop which requires no fertilizer or pesticides. Dimensions: 42cmW x 36cmH x 12cm bottom gusset.